In a recent development, Uttarakhand has received an amount of Rs 22 crore under Central Government Smart City Project for the development of its Smart City – Dehradun. 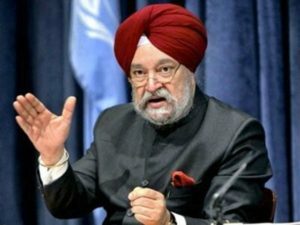 This was announced by Union Housing and Urban Affair Minister Hardeep Singh Puri recently in Parliament. Announcing a pan-India progress report of Smart City projects, the minister stated that a total of Rs 11,340 crore have been allocated and 436 project tenders worth Rs 20,542 crore is issued by the State Government for selected Smart Cities. As of now, the tentative plan as to Smart City has been designed. It encompasses a storm water drain system, urban mobility, robust IT connectivity, sanitation, affordable housing and public transportation.